Dana is always a team player – we want to thank her for her extra support and loving care with each account! Dana always takes the time with extra detailed phone calls to our first-time clients that might be a bit nervous leaving their fur family at home. Each client always returns with peace of mind and a great experience. 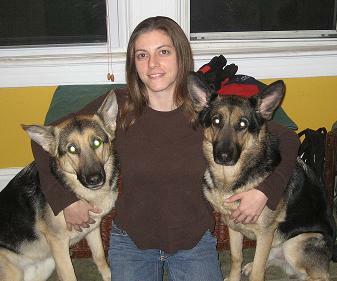 Dana spent most of August in her car and out at our clients’ homes playing with and loving their pets. Thank You for your dedication! Amy is recognized for her hard work and dedication to each account. She is always very organized and provides very detailed notes for our clients. When you read her notes you feel as if you were there. Amy always has great communication with the main office. When our clients return after using Amy to care for their animals they always have great things say! Thank you! 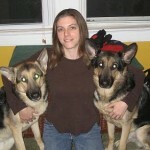 Beth is the NJ Pet Sitters Employee of the Month for April 2011! We would like to Thank Beth for all her Team work in April. Beth always remains positive and does a great job with the details, especially on our more complex accounts. Her communication and organizational skills really showcase her dedication and work ethic. Thank You! Beth was a real team player last month. 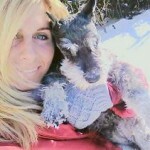 Another pet sitter needed assistance because she could not enter a home with a territorial, scared dog. She dropped everything and drove right over to help. Beth got right in and helped put the dog and our sitter at ease. Beth is always willing to help, and her love for animals never goes unnoticed!